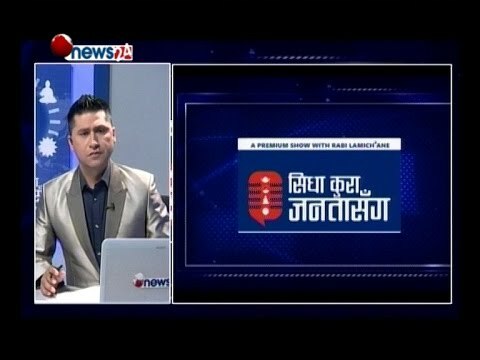 This episode of SIDHA KURA JANATA SANGA is raising lots of Public Issues, Presenter Rabi Lamichhane is asking strongly with the reporter of the SIDHA KURA JANATA SANGA ,said bring proof or leave the job. The Local Bus service in the Evening time in Kathmandu is not available, no night local bus service in Kathmandu. Talking with Ishwar Raj Pokharel about the local bus service in the evening time.